Sunshine Retirement Living offers residents of Dunwoody Pines – its Dunwoody retirement community – access to a unique travel program that includes free lodging, meals, and activities in thirteen beautiful cities across six states in the US. And what we’ve found in the years we’ve offered this program? That our residents are both imaginative and adventurous, taking advantage of this special offering in a myriad of creative ways. Here’s what they’re doing. Many residents would love to spend some time near their children, grandchildren, or old friends without imposing on them or incurring excess expenses on lodging and meals. 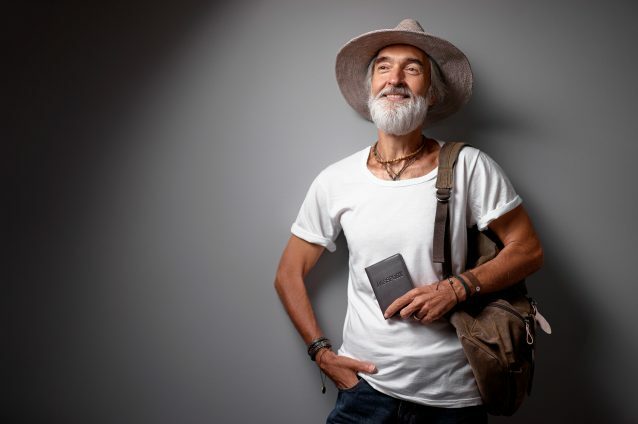 Additionally, once they’re accustomed to the privacy and peacefulness that accompanies retirement, they might even be looking for a great visit with a little alone time. The travel program allows them as much time as they’d like with loved ones near the community while still providing a quiet, private, non-intrusive place to rest and eat during their stay. Those seeking to expand their network in retirement have used the benefits of the travel program to immerse themselves in other communities of like-minded folks, sharing life experiences, laughs, and good food while they establish new friendships and experience new things. Because travel program guests have full access to each community’s activities, events, and wellness program, meeting new people away from the Chattahoochee is nearly effortless. For some, retirement is about settling into a comfortable recliner with a favorite book and a glass of wine…but for others, retirement is for excitement and adventure. When they aren’t enjoying local outdoor spaces like Brook Run Park, some of our residents are looking to serve themselves by expanding their horizons and making the United States their playground. The travel program supports that lifestyle perfectly by making travel easy and inexpensive – there are no extra costs for dining, lodging, or in-house entertainment when you stay in another Sunshine community. Additionally, many communities are situated in some of the most beautiful and desirable cities in the US, giving residents easy access to national parks, local attractions, and great shopping. Some residents have shared their tips and tricks for using the travel program to attend special events at little to no cost without imposing on family members or giving up their privacy during their time away. Weddings, memorial services, and graduations are just a few of the events our residents have attended, all while saving money and enjoying the serene, home-like setting of a sister community. Some have even made a few new friends along the way. While Dunwoody offers a large selection of healthcare services, some doctors are a road trip away. Specialist appointments scheduled far from home can really make a dent on your plans and your budget. Many retirees find themselves traveling far and wide to see the doctors they need, paying for food and lodging and sacrificing some of their favorite daily routines, like a yoga class, lunch with friends, or happy hour. Many residents have chosen specialists in Sunshine communities to reduce their costs and make the trip just a little more enjoyable. Cross-country travelers love to stop and spend a night in our communities along their route to ease the burden of long-distance travel, enjoy a nourishing meal, and perhaps partake in a good movie with like-minded folks. To learn more about senior living in Dunwoody – or the myriad of luxuries, amenities, and services that accompany residency at Dunwoody Pines – schedule a visit today. Our friendly staff can’t wait to take you on a private tour, help you sample the cuisine, and introduce you to new friends and great memories.